The procedure has become fairly common globally since then, posing no greater technical challenge than regular brain surgery, Dr. Enicker said. But choosing patients is very important: People who cough, or who cannot lie still for extended periods, are far more dangerous to operate on. “We had to ensure that whatever pathways he was using for music were preserved,” said Dr. Harrichandparsad. “There’s no single pathway, but a multitude that interact.” It would have been “impossible to do this,” he added, without Mr. Manzini’s remaining awake. Doctors discovered the tumor in 2006, and Mr. Manzini had undergone two surgeries under general anaesthetic. 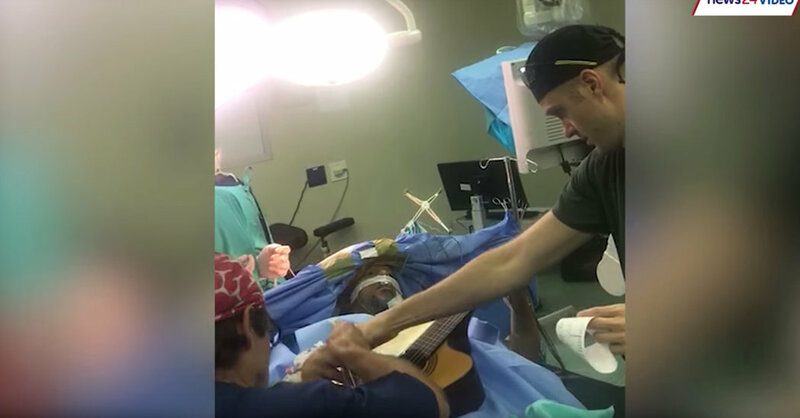 Earlier this year, he said, his left hand began feeling “numb and clumsy” while he was playing guitar, and when scans showed that the growth had returned, he opted for an awake craniotomy.